Great athlete and was up to 94 on the mound at PG National. Also a 6.4 runner with good hitting tools. Bryce Osmond is a 2019 RHP/SS/OF with a 6-3 185 lb. frame from Tulsa, OK who attends Jenks HS. Long and lean athletic build, lots of physical projection there. Highest level two-way prospect. Came to the National as a primary shortstop. 6.42 speed in the sixty, has athletic actions at shortstop and obvious arm strength. 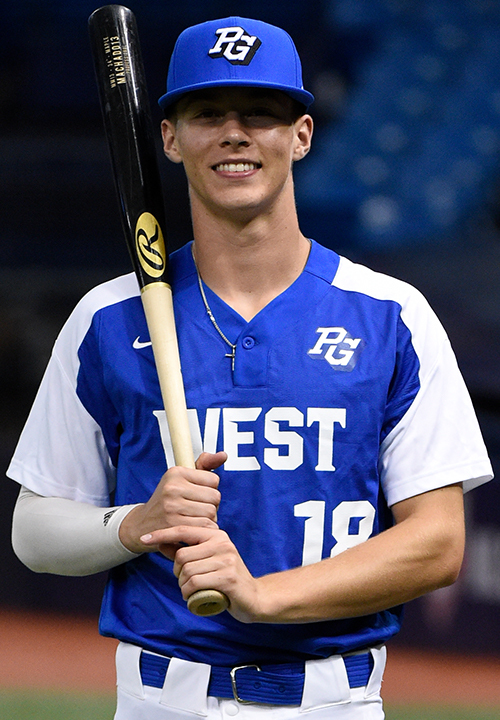 Right handed hitter, busy hand load with a short and well controlled swing, is on time well with a line drive approach, projects as a hitter with additional strength and maturity. Graded out much higher as a pitcher, has an on line delivery with good lower half use, athletic delivery with a very loose lightning fast arm. Fastball topped out at 94 mph, flashed tight spin and sharp biting action on his slider. Spotted up his fastball well. Very high ceiling on the mound and his athleticism will only help. 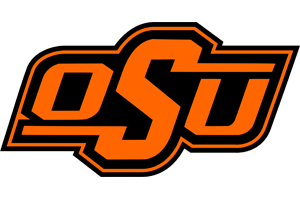 Very good student, verbal commitment to Oklahoma State. Selected to play in the 2018 Perfect Game All-American Classic.